Bishop Mwita raising hands with those he confirmed. 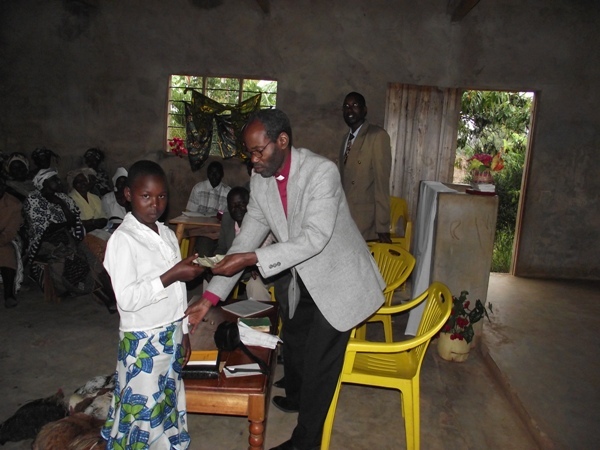 ''Go forth and serve the Lord"
Bishop Mwita had his first confirmation service on August 15, 2010 at Kerende Church, some 40km from Tarime town. 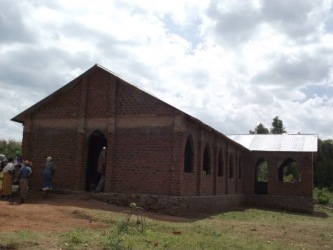 Kerende parish church is part of Nyamongo deanery. 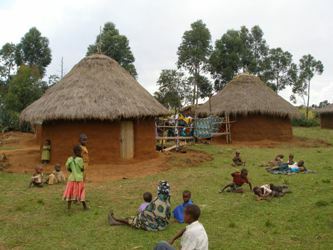 It is a place where the Canadian mining company, Barrick Gold, has one of its goldmines in Tanzania. 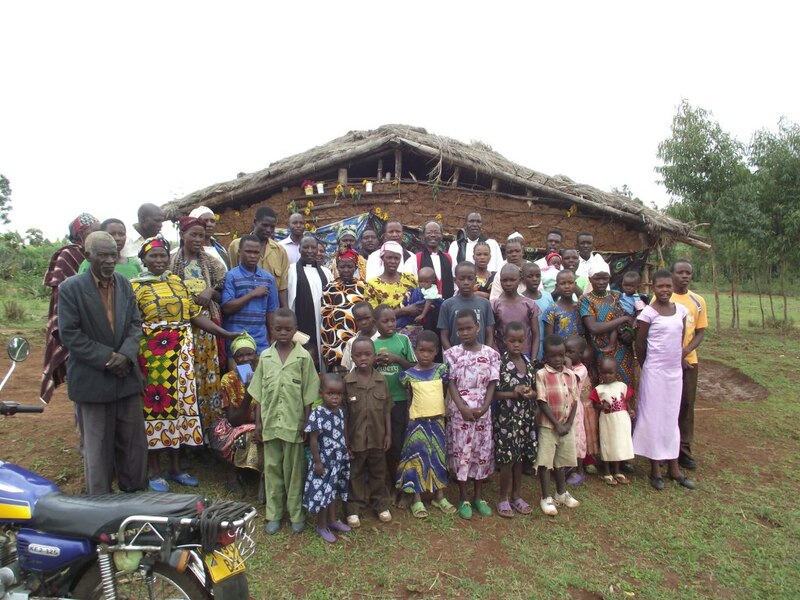 This being a deanery gathering, the pastors and Christians from other parishes attended. 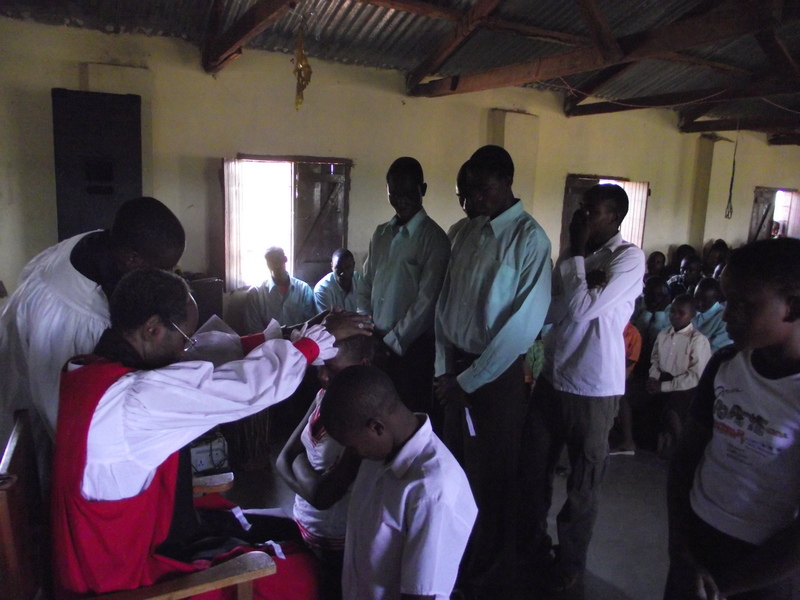 Other deanery confirmations took place in other deaneries as follows: Kemange (September 12), Kitagasembe (September 19), Magoma (September 26) and Tarime (October 10). 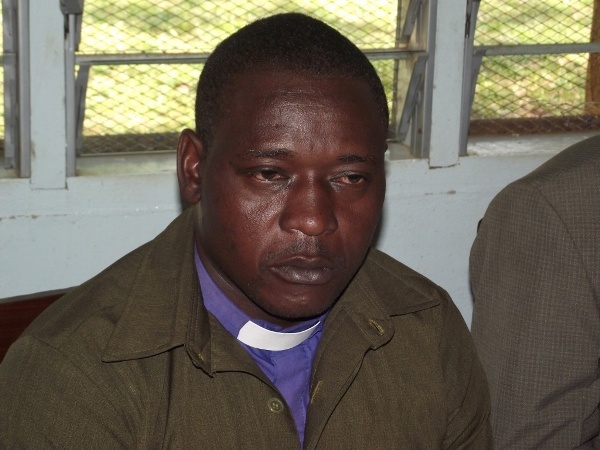 Bishop Mwita confirmed 86 people in 2010. 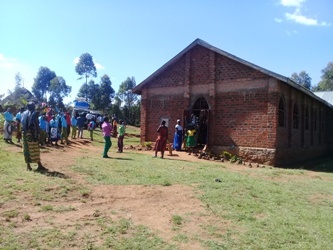 On Sunday November 19, 2010, the Bishop worshiped at Kitagasembe parish church, located north of Tarime and barely three miles from the border with Kenya. 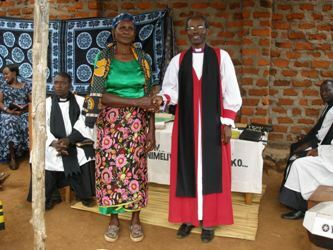 The main reason for the Episcopal visit was to preside over a fundraising event which was scheduled after the main service. 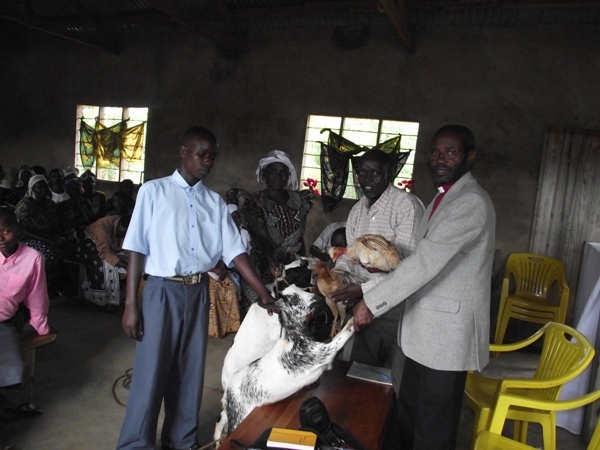 Adults, young people, including members of the choir, and children took part by giving cash and live animals such as goats and chicken. Almost Tsh 1,900,000 (approx $1500 at the rate of exchange of that time) was raised. This was half of what the church needed for the desired musical instruments. 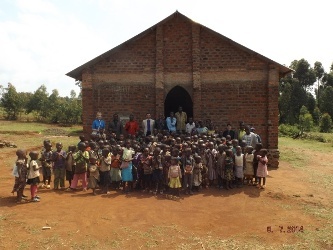 Bishop Mwita was greatly impressed especially by the way children participated in this event and asked parishes with a similar need to learn from Kitagasembe church. 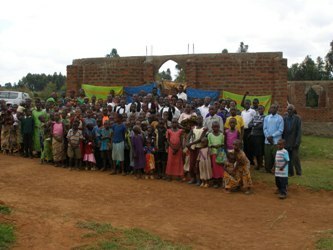 Youth Choir groups are phenomenon not only in the Diocese of Tarime, but also in many Dioceses of the Anglican Church of Tanzania. The talents and ability vary from one church to another. However, the dancing styles are wonderful and have become an attraction to those who can cope with a kind of ‘modernism’ in African worship. Choir instruments are therefore a ‘must’ at least in the eyes of these choir groups themselves. 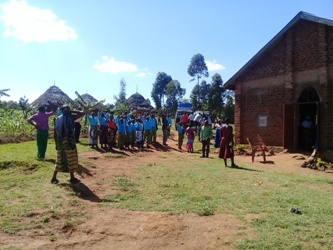 For a young choir with no experienced guitarists, all the choir group needs is an electronic keyboard, an amplifier, a set of speakers, a power stabilizer, and a power generator for use in rural places due to lack of electricity. With these instruments the choirs groups sing to the Lord in church on Sundays and also participate in the evangelism programmes of the parish by accompanying preachers to the villages where people have not yet heard the Good News of Christ. 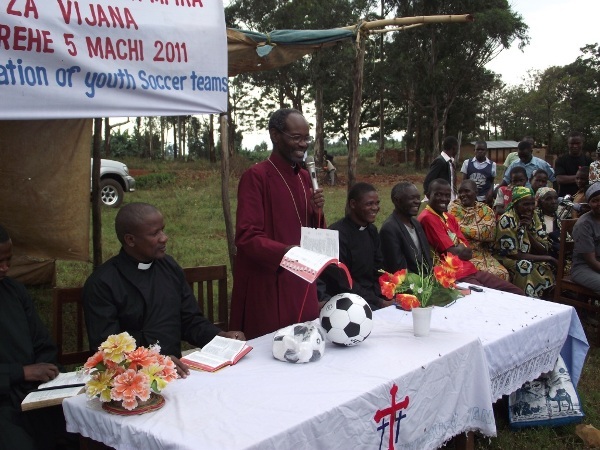 On March 5, 2011, the Bishop of Tarime, the Right Rev Dr Mwita Akiri inaugurated Church Youth Soccer teams at Kenyamanyori Village, some 7 km east of Tarime. 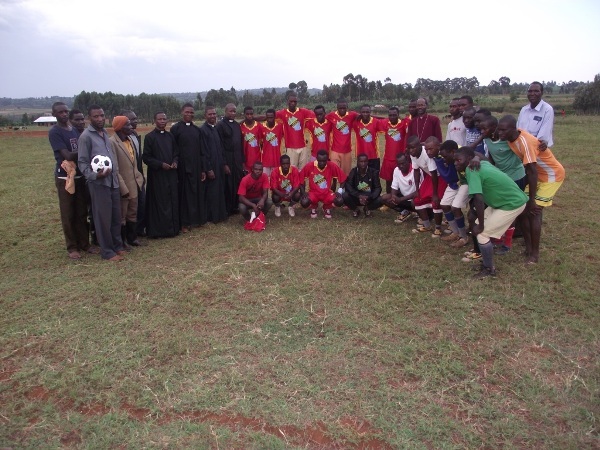 The youth soccer teams are being formed in all parishes and congregations throughout the Diocese. 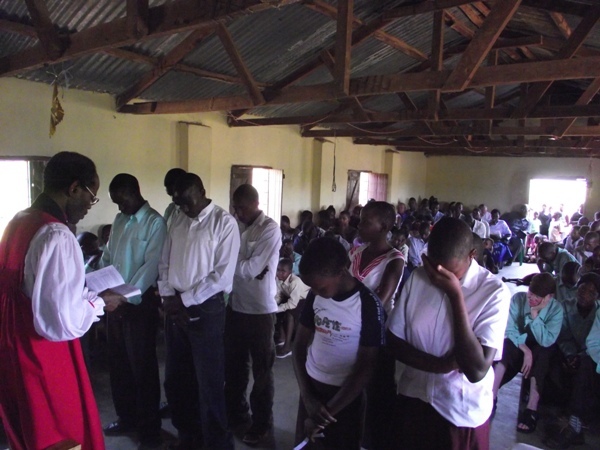 The aims are to extend youth activities in the church, and to enable young people in the church to make contact with their peers in the villages where they live. 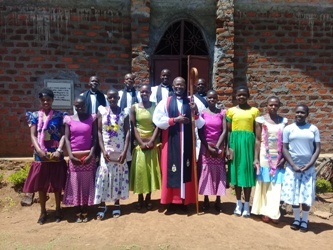 Speaking to the church youth groups from Kenyamanyori and Mogabiri parishes and the villages that attended the inaugural ceremony, Bishop Mwita said, "The Church in the Diocese of Tarime will always care for young people in and outside the Church. We want young people in Church to engage in as many activities as possible. 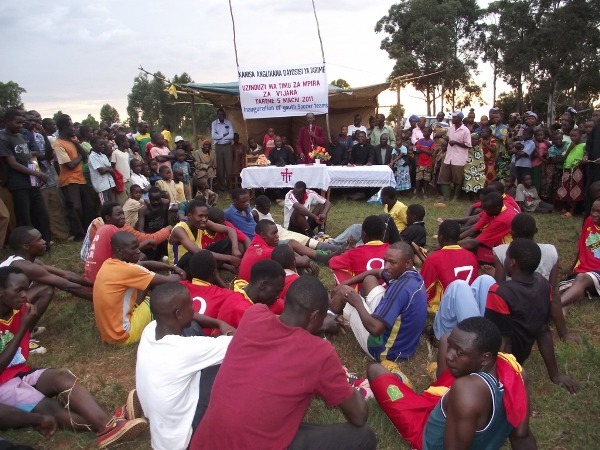 We regard young people in our churches as ambassadors of Christ who must reach out to their fellow young people in the villages where live and share God's love and peace". The soccer balls have been donated by Sam Sumner-Hodgkins and his young school friends in Canada to whom the Diocese is so grateful. Sam is the teenage son of Professor George Sumner and Stephanie Hodgkins of Wycliffe College, Toronto Canada. 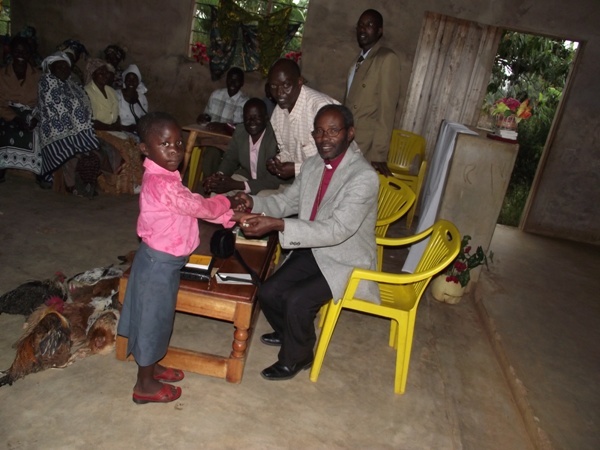 Sam and his parents were present at the inauguration of the Diocese of Tarime in July 2010”. 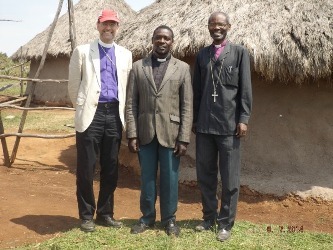 On March 27, 2011, the Bishop of Tarime, the Right Rev Dr Mwita Akiri visited the Mangucha Parish at the Kenya/Tanzania border. 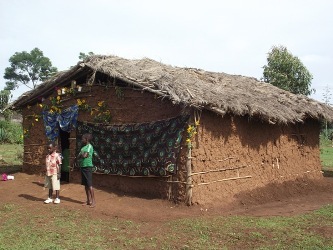 Mangucha is one of the smallest congregations with about 15 or so regular worshippers. 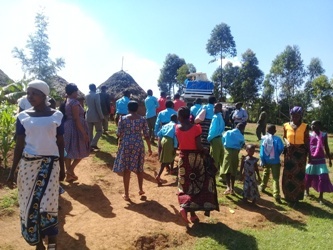 What impressed Bishop Akiri was the effort made by this congregation to collect stones and carry them on their head or on the back of push bikes to bring them to the church site. 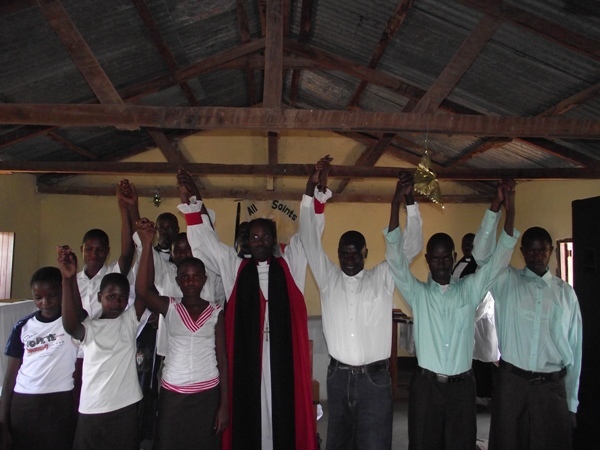 This has been made possible by their new pastor Elias Philimon who was transferred to Mangucha in January 2010. 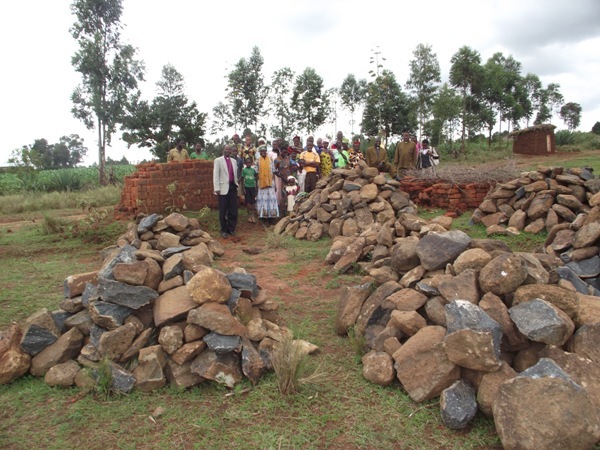 Since then he has mobilized the congregation so that they can start building a church with burnt bricks and roof it with corrugated sheets. The diocese has a partnership policy that it will assist with roofing material if the congregation can manage to erect the wall. 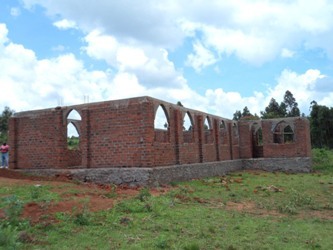 A church building that can seat up to 150 people may cost a minimum of Tsh15 million, (which translates to roughly $12,000) of which nearly a half may be spent on roofing material (corrugated sheets, timber, nails) and the carpenter's roofing fee.